Usually non-licensed LEGO franchises are built on pretty clear-cut concepts, traditional settings divided between factions of good and evil: police and robbers in modern cities, knights in medieval castles, ninjas in oriental dwellings – with the occasional skeleton, wizard and dragon thrown in for reasonably good measure. One can argue implementation, but usually the concept at least makes sense. But sometimes LEGO goes a bit astray, like when combining a candy palette with Castle and Bionicle in Knights’ Kingdom II, or ice caves, steam locomotives and futuristic space-age looks in 9V Trains. Say what? Legends of Chima, really, has it all. First of all, the factions: Protagonists are an alliance of lions, eagles and soon gorillas. Antagonists consist of crocodiles, ravens and wolves… and the back story promises four more tribes later on! All human-like and with names starting with the first letter of their species. What follows is an even more staggering array of vehiclery, all inspired by animals and a mysterious force called Chi that manifests itself in transparent crystals and tubings. There are all sorts of animal-shaped tanks, monster bikes, robots, airplanes, helicopters, gliders, jet skis, inflatable boats and ships. Not only that, the theme also features a Ninjago-like trading cards game and Speedorz. What are Speedorz, you may ask? Well, since eleven animal factions and their animal-shaped vehicles on the seas and oceans, in the air and on the beaches and landing grounds weren’t enough, Land of Chima features an ancient game of Speedorz (because, really, that sounds like an ancient name), used to settle disputes between the factions. Speedorz are one-wheeled, rip-cord operated bikes that are used to fight for, well, stuff and glory of the ancients. Because that’s what eagles and alligators do in their off-hours (in the middle of a swamp no less), race one-wheelers. And since all this takes place in a tropical jungle, there are castles and ice towers too. All this at launch! I wonder what we’ll have by the time the theme is retired in 2015-2016. There is no obvious mythological or historical counterpart for Legends of Chima, this is an original mishmash of western cartoon and eastern manga at its most cliché. 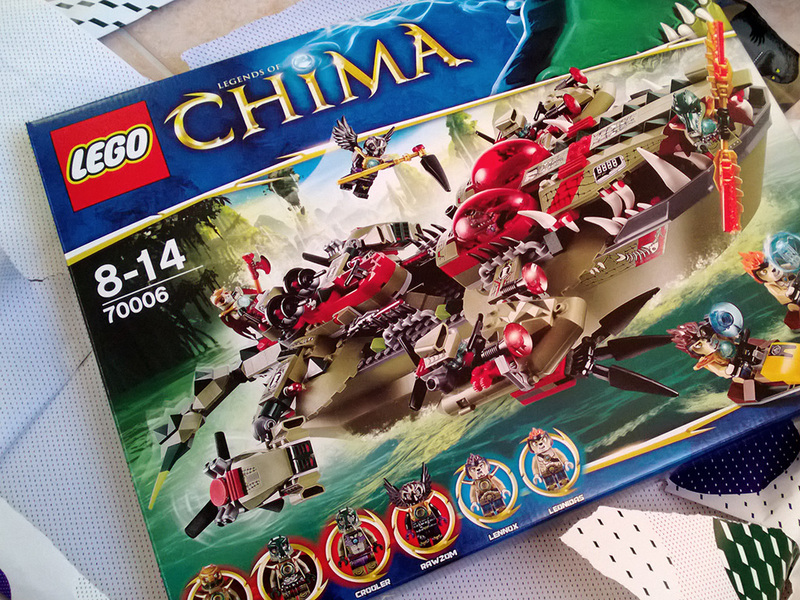 Not only that, on the LEGO side Legends of Chima simultaneously plays homage to a dizzying array of themes – LEGO Boats, Castle, Pirates, Technic, Racers, Ninjago, DUPLO Zoo and LEGO Friends to name a few. Well, the last one I made up, but still. Wow.